Mumford & Sons return with the release of their fourth album Delta! 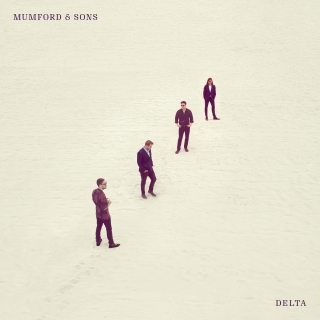 Since the release of Wilder Mind in May 2015, Mumford & Sons have found a rich, prolific vein of form in the writing for “Delta”. Where the 2015 album “Wilder Mind” harnessed a widescreen electric sound that seemed custom built to be belted back to them from the festival main stages, “Delta” loses none of that sense of scale, but couples it with an intimacy and jubilance that has so successfully combined to make Mumford & Sons one of the biggest bands of recent years. New single Guiding Light is the perfect example of that – a dizzying folk-rock song that builds, builds, explodes and then explodes again. An emphatic return. GrownUps have three copies of this CD to giveaway. To be in to win, enter your details below. T&Cs apply. Competition closes 15 December.